The Nissan Frontier has become a favorite little truck for a variety of reasons, despite its dated interior and lack of any serious upgrade in over a decade. One of its most persuasive qualities is its timeless excellence, strong capability, and all around fun in a very well-proven platform. 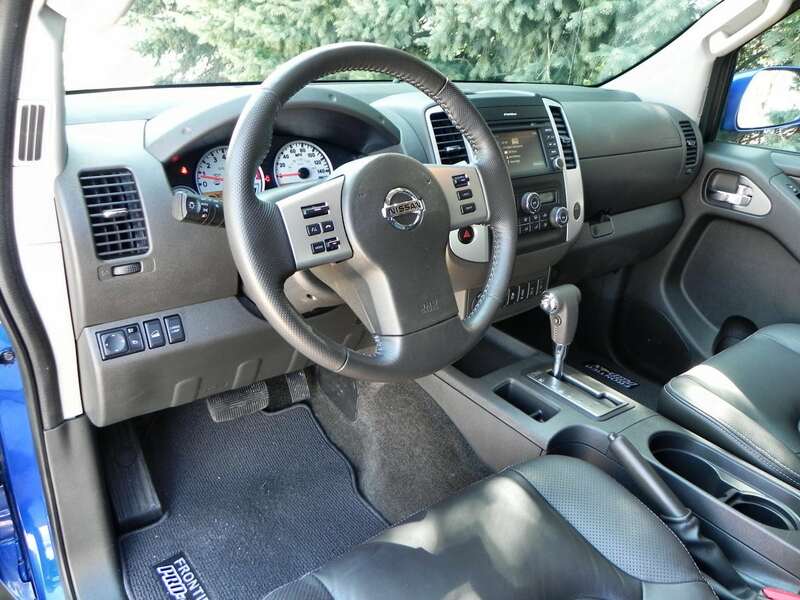 Although Nissan has added a few things here and there for the past dozen years that the Frontier has been in its current generation, this midsize truck has, for the most part, remained the same. In some ways, this is a bad thing, but for the most part, at least with the 2015 Frontier, it’s not. The interior is a bit dated and could use some upgrading, but with tech improvements, a solid build, and great capability, there’s little to fault with the Frontier. 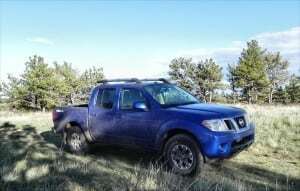 This is the third year in a row that CarNewsCafe has test driven the Frontier and the 2015 Nissan Frontier Pro-4X we had this time around was largely the same as the previous year’s model and the model from the year before that. This means that not only did we find no surprises with the truck, we also knew exactly what to expect and what to do with this fun little machine. And we did it. So while the 2015 Nissan Frontier may be long in the tooth in terms of its design, that doesn’t change the fact that it’s our favorite little midsize toy for off-pavement good times. The Frontier is a great-looking little truck. 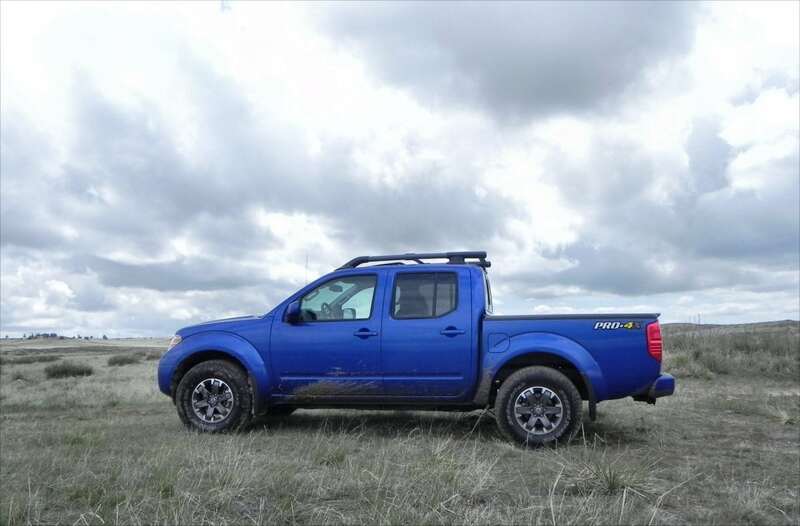 A sporty, but still truck-centric grille, heavy fender bulges, a coupe-like cabin shape, and aggressive lines all mark the Frontier’s exterior. 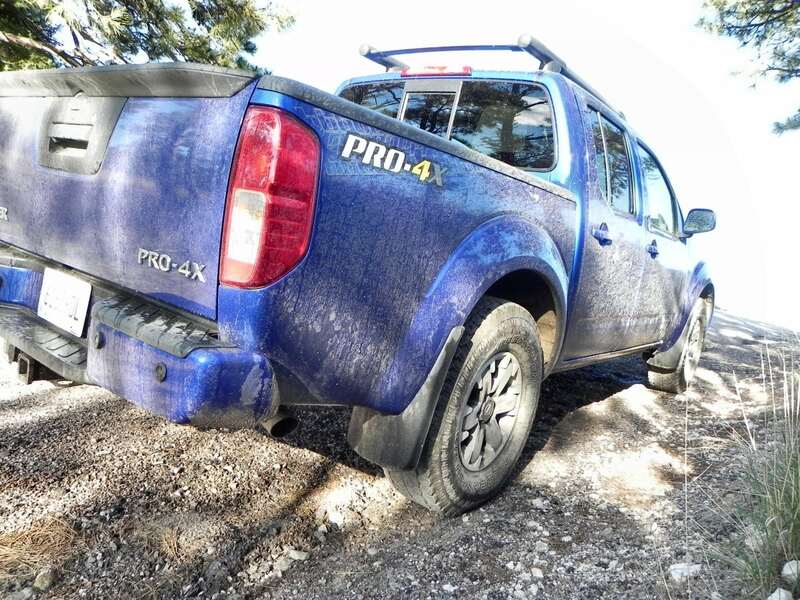 With the optional roof rails and the beefy tires and powerful wheels of the Pro-4X package, the Frontier becomes even more striking. The base model and mid-trim packages are still good-looking pickups, but are more utilitarian in their appeal than is the Pro-4X or Desert Runner packages. 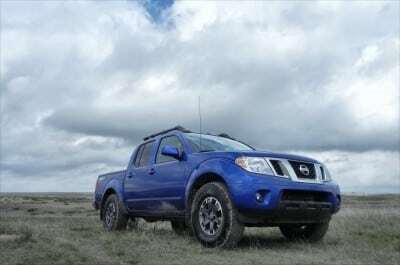 The former adds a lot of offroad goodies (shocks, beefy tires, a taller stance) while the latter adds rally-esque appeal to the Frontier. 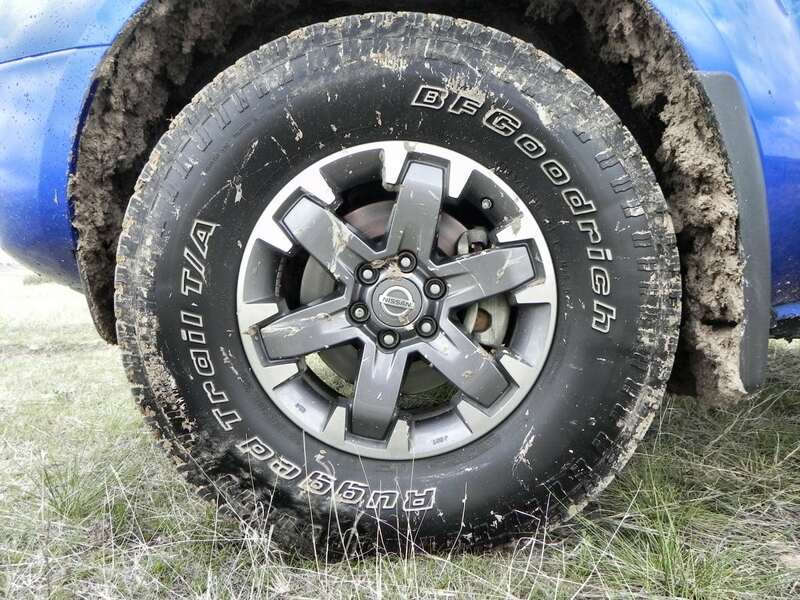 With with exception of the Pro-4X, all Frontier trucks can be had in 4×2 configuration and with the exception of the Desert Runner, all trims can have 4×4 added. Both King Cab and Crew Cab options are also available, as are two bed sizes depending on the trim chosen. 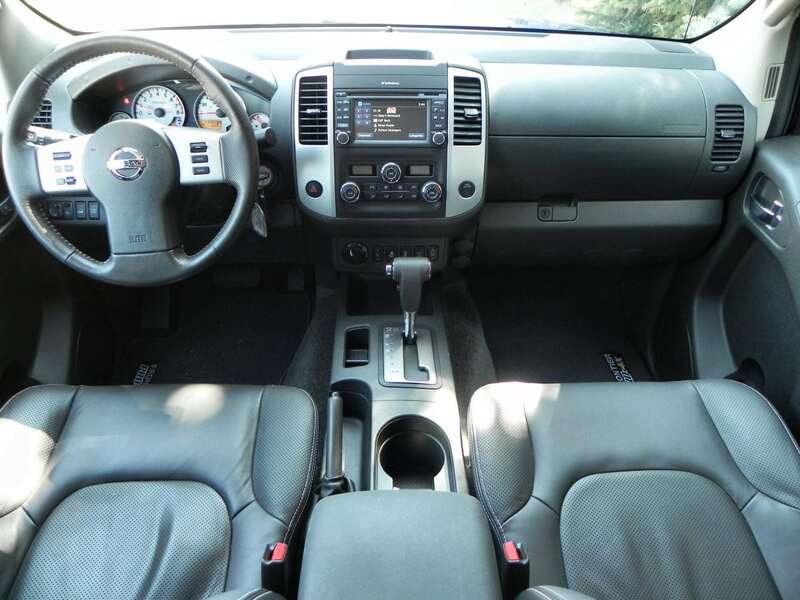 The changes to the interior of the Frontier are minimal for this model year. The same comfortable buckets and no-nonsense dashboard are there. Instruments are easy to read thanks to a classic black on white gauge cluster. 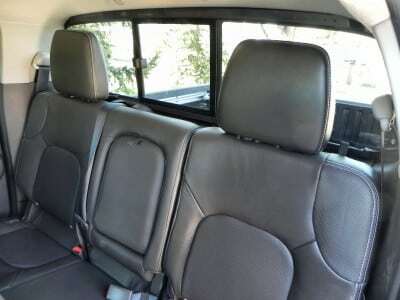 Whether looking at the base model Frontier S or the great Pro-4X as we drove it, the Frontier’s interior is sturdy and well-managed. 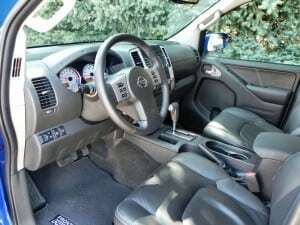 Some things are dated, such as the flat and largely hard-plastic-containing dashboard and the single color tone that flows from seating to flooring to dash. 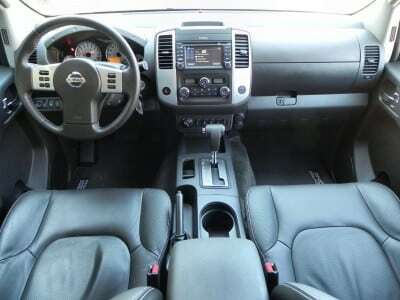 Improvements, though, include the availability of NissanConnect for infotainment and app control. It can now be had with or without navigation, whereas before it was a part of the nav upgrade. Speaking of navigation, that’s now standard equipment on the Pro-4X. The rear seating is good in the Crew Cab, but largely a joke in the King Cab. Those buying the King Cab configuration should know that it will not accommodate even child safety seats very well, let alone adults. The Crew Cab can do both, though, with minimal cramping. 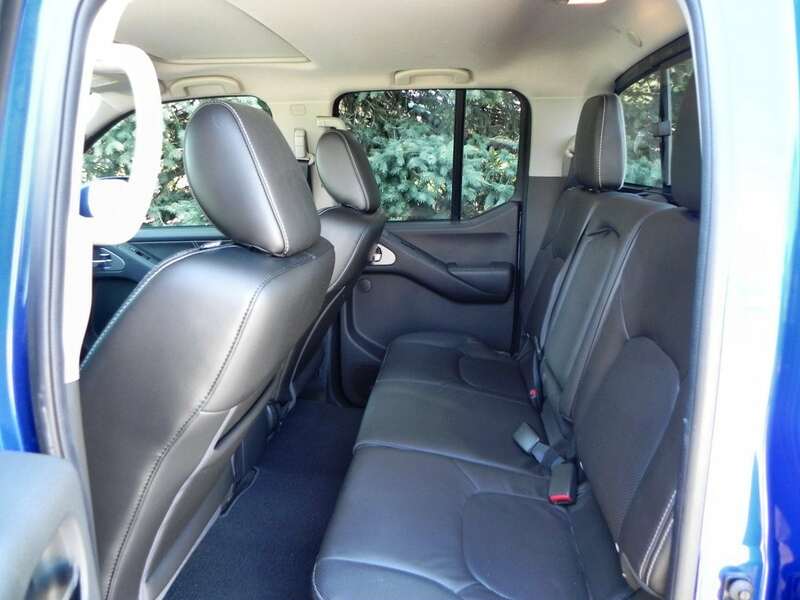 The big and tall will find the rear seats in the Crew a bit tight, but still do-able. Those seats also fold up to reveal storage underneath. A nice bonus. 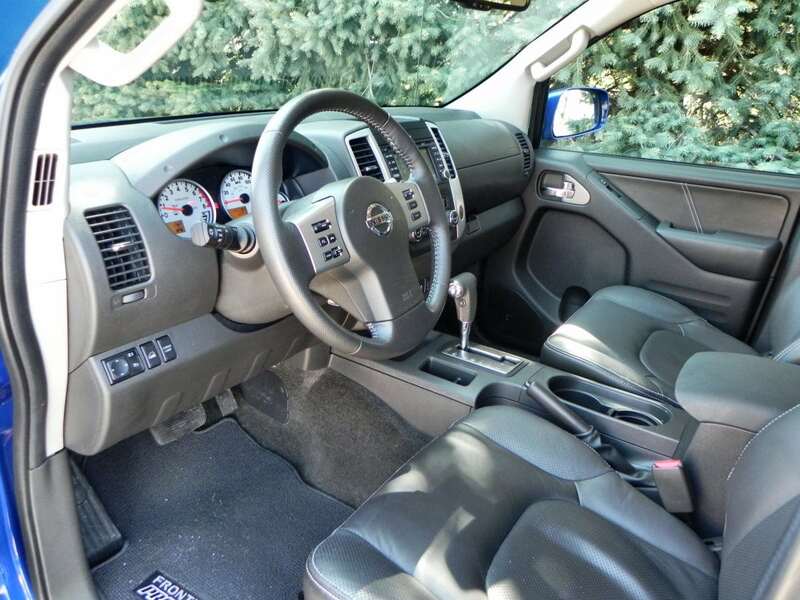 The cargo bed of the Frontier is excellent. 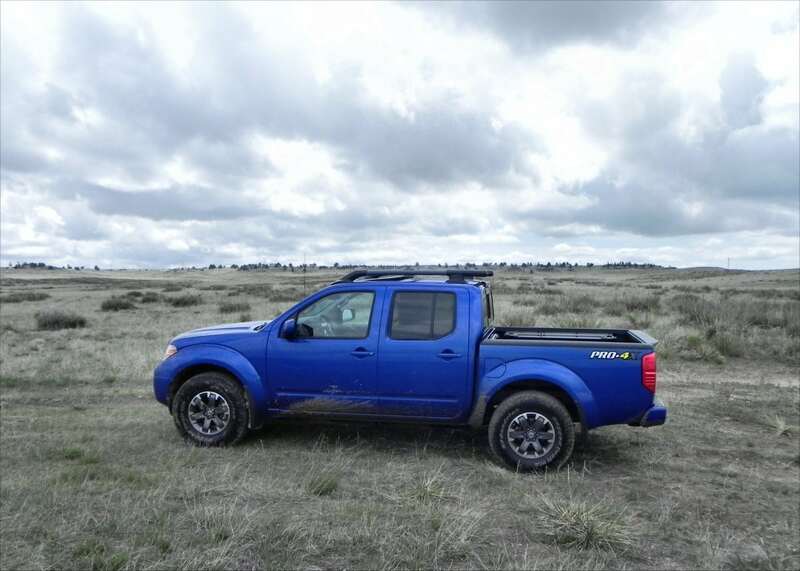 Available tie-down rails, a bed extender, and a sliding rear window are all great things that make the 2015 Frontier usable as both a work truck and a weekend toy. It’s for this reason that the Frontier sells so well in both its base model and its Pro-4X package and only marginally in other configurations. A 2.5-liter four-cylinder engine and five-speed manual or optional automatic transmission are standard on the Frontier in its base trims. Rear-wheel drive is mandatory in this build. 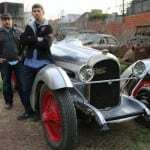 The engine outputs 152 horsepower and 171 pound-feet of torque and is rated to tow up to 3,500 pounds. This is a popular work-truck configuration for the Frontier, and for good reason. 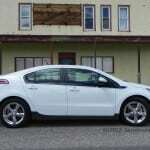 It’s low-cost and offers an EPA rating of 21 mpg combined (manual transmission) or 19 mpg combined (automatic). We drove the 2015 Nissan Frontier with its 4.0-liter V6, which is standard equipment on any four-wheel drive equipped Frontier as well as the Desert Runner trim. This comes with a six-speed manual transmission with an option for a five-speed automatic. We drove the latter. Towing capacity is raised up to 6,500 pounds with this engine. 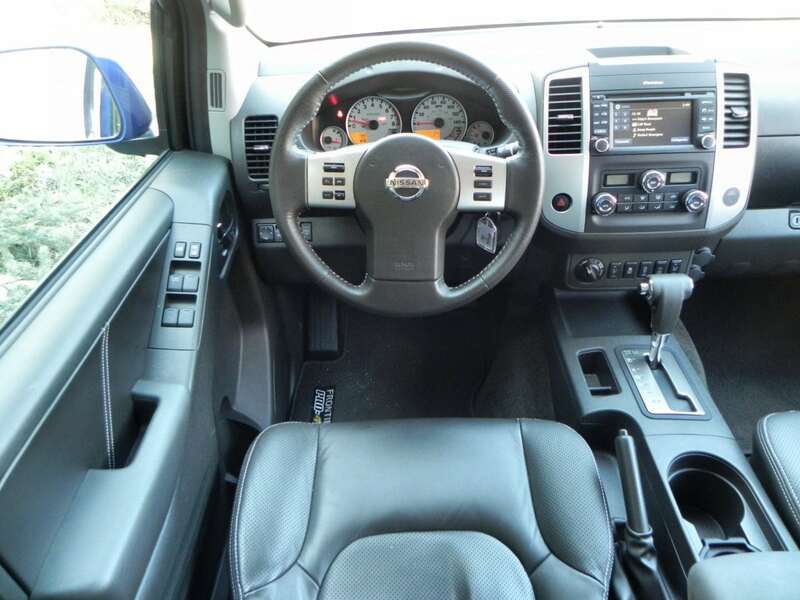 The EPA rates it at 19 mpg combined for 4×2 models with the manual trans and 18 mpg combined with the automatic. 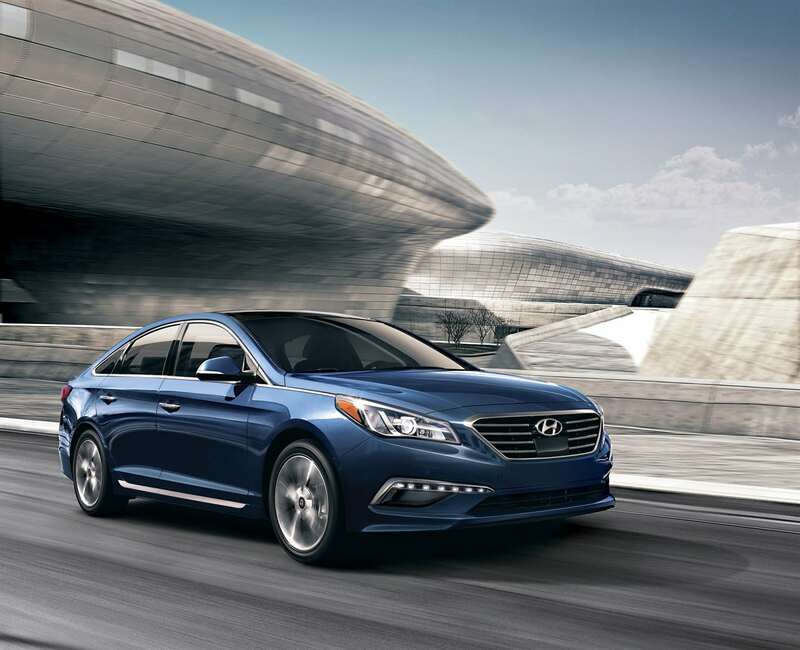 Four-wheel drive drops those to 18 and 17 mpg respectively. 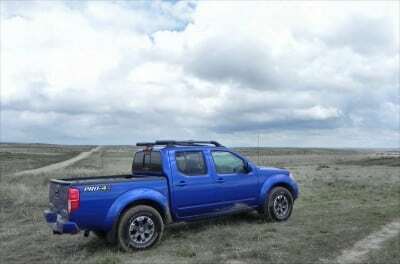 The Frontier is decent on the highway and around town, though one of its qualities as a truck is its spongy feel in corners and its slow turn in parking lots. 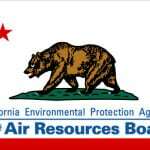 On the flip side, though, those things also mean it absorbs potholes and road hazards well and can bump the curb without worry. 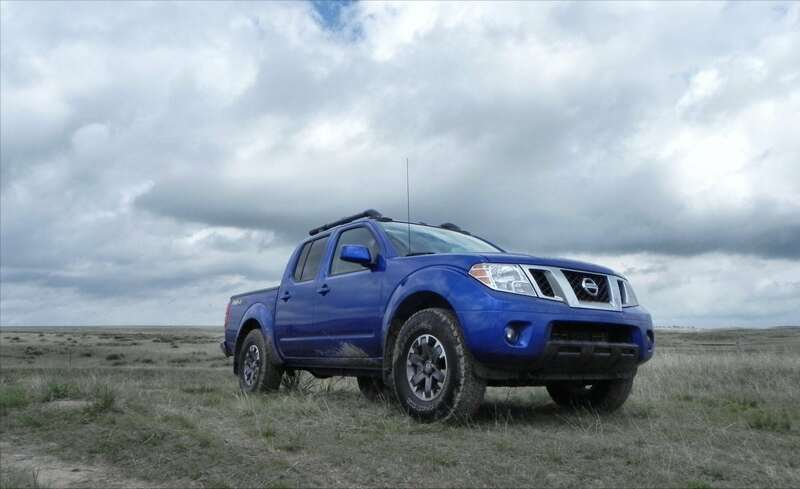 For highway driving, the 2015 Frontier is comfortable and quiet enough to be a daily driver if need be. On the road and under a load (in the bed or towing), the Nissan Frontier does very well. It’s heavy suspension means that when a half-ton of stuff is piled in the back, it doesn’t shimmy or act burdened. When towing, it pulls well thanks to the power of its tried-and-true V6 and solid transmission. 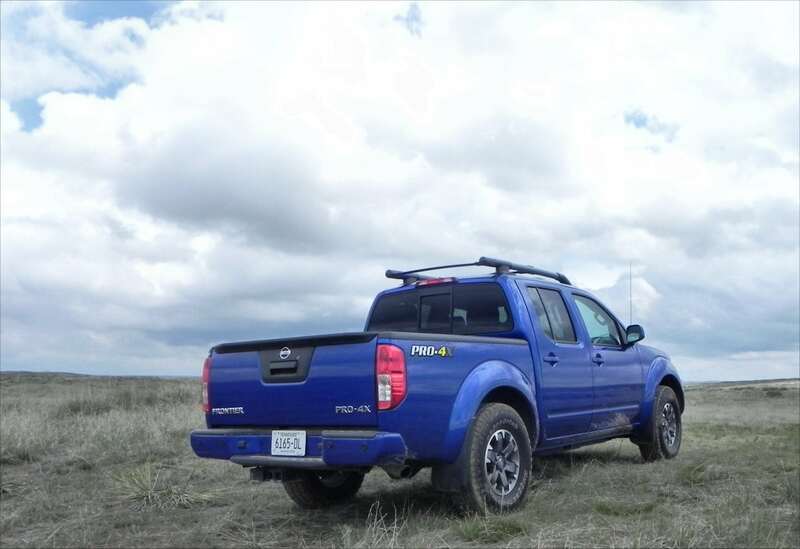 The Frontier is a good work truck, which is why it’s a popular fleet purchase. Off the road, of course, the Frontier is a completely different animal. 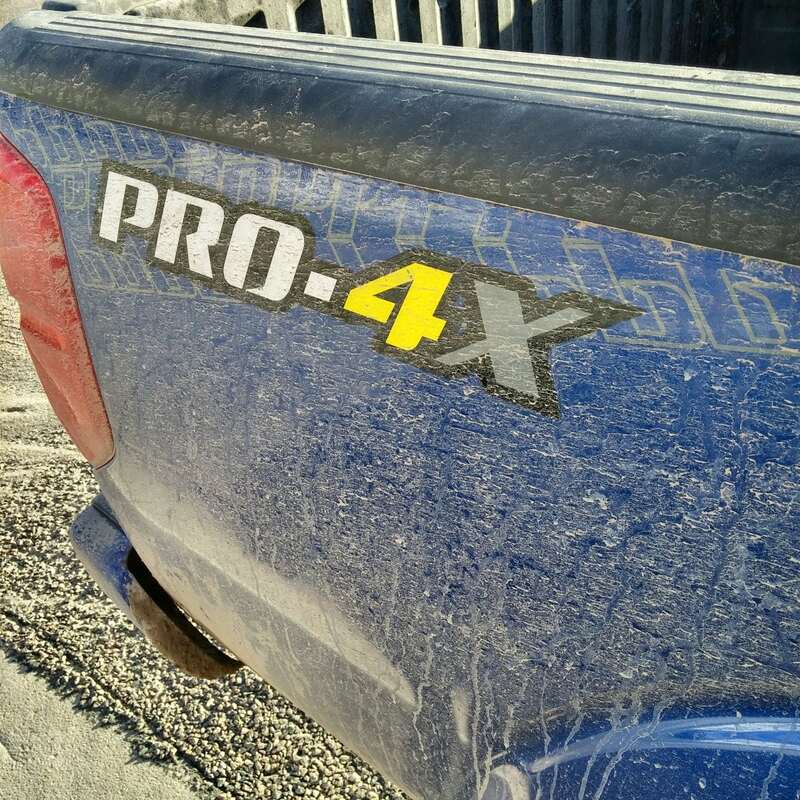 In its Pro-4X package, it’s a beast that does just about anything you ask of it. 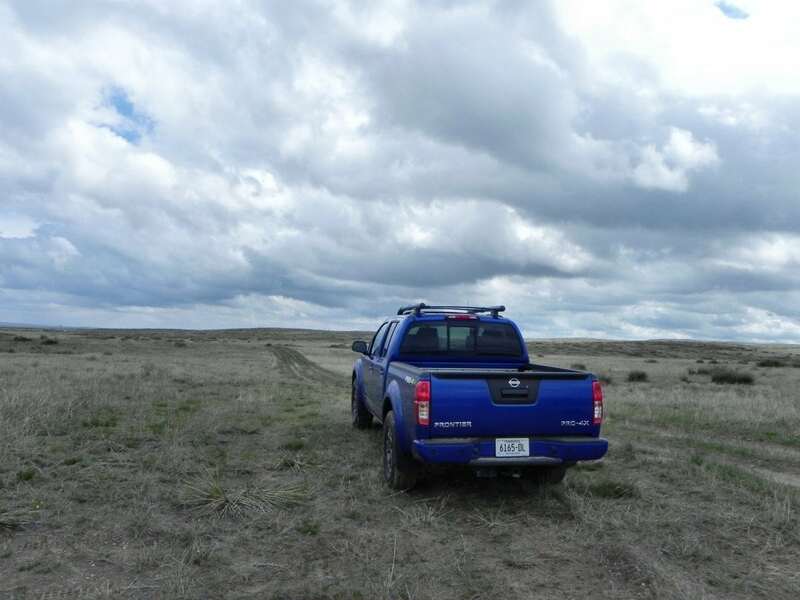 During our week with the truck this time around, we took a tour of dirt roads between Pine Bluffs, Wyoming and Scottsbluff, Nebraska in about 100 miles of round-trip driving without pavement. 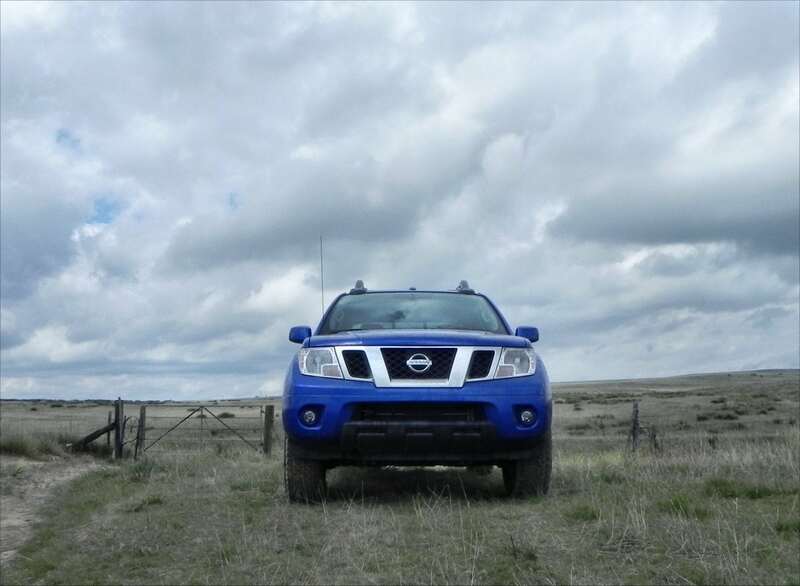 Cruising along county and local farm roads, we never felt like the Frontier was going to lose its grip or stray from its path. Even the worst of washboards were absorbed as we glided over them. 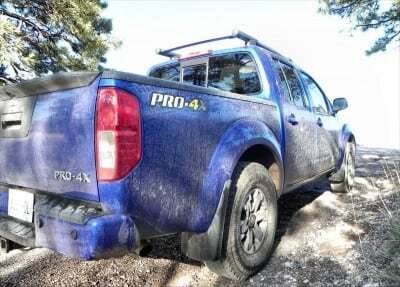 Last year, we drove the Frontier Pro-4X off the road completely, in a similar test, and loved it. 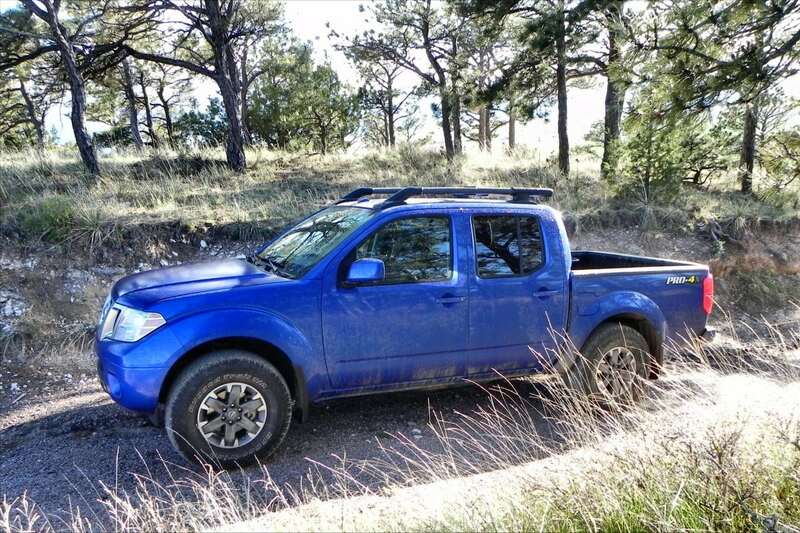 There aren’t many midsize pickup trucks, but the other two competitors for the Nissan Frontier include the best-selling Toyota Tacoma, which will be new for 2016, and the all-new Chevrolet Colorado (which has a GMC twin). 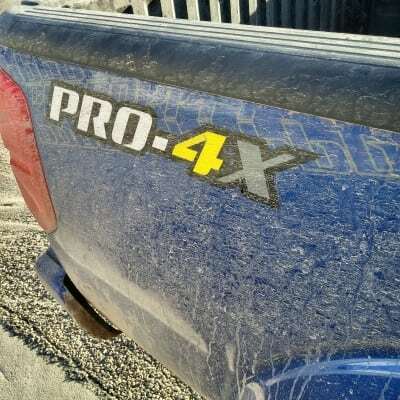 Neither of these can match the Pro-4X package’s prowess, but the Toyota offers more space inside and the Chevy has a better on-road presence and higher fuel economy. 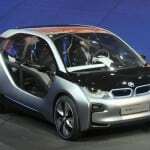 Extremely capable for its market. Great package options from the base on up. Dated interior design and styling. Although it’s aged and not as luxurious as some rivals, the 2015 Nissan Frontier is still a great little pickup truck. 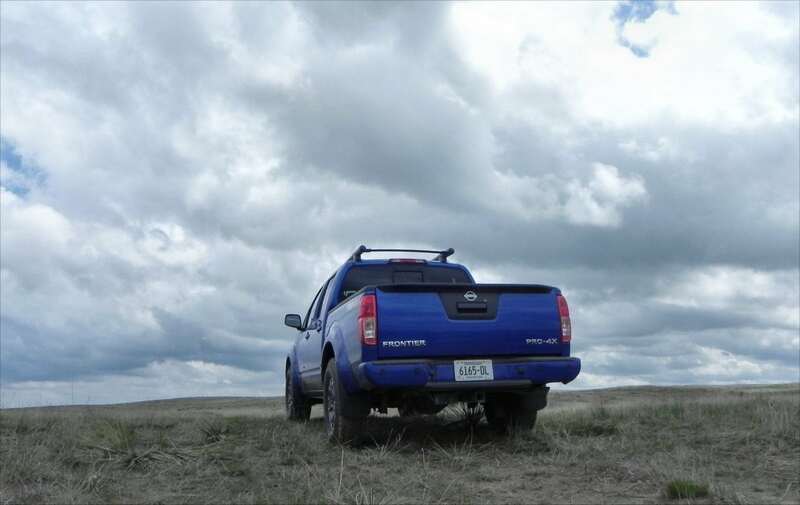 It remains our favorite choice, especially in its larger-than-life Pro-4X package with the optional roof rack. The Frontier is still a solid choice as a low-cost work truck in its base trim as well. 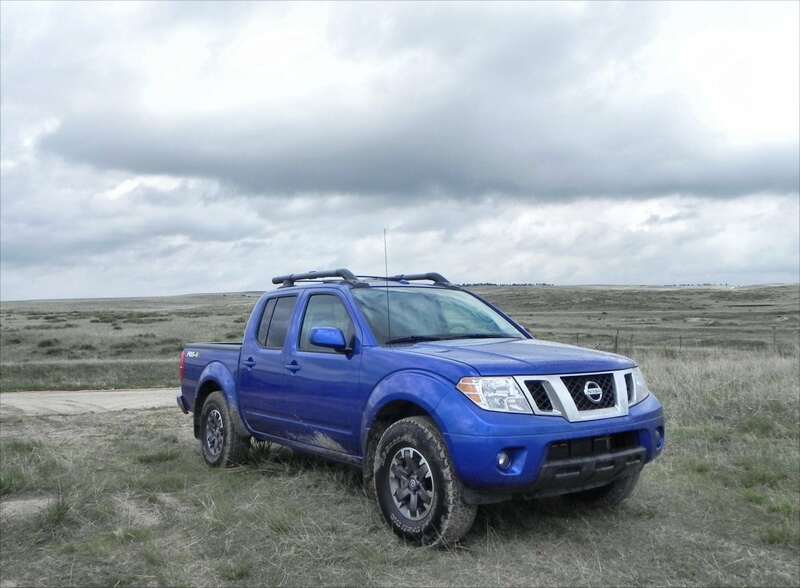 The Frontier was a manufacturer’s press loan for about a week, during which time 166 miles were put on the truck in varied terrain, most of it off-pavement.